You can now get access to this gorgeous designer lucite tray with an insert that you can customize yourself, as often as you want, by simply sliding the paper or photo out of the bottom! 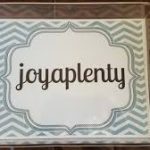 Use this quality, handcrafted tray “as is” for a sleek, mid-century look, or slip in any 8.5 by 11 inch craft paper, photo or custom design you choose. 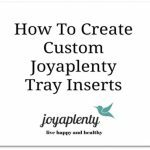 For customizing your tray, the possibilities are endless. Insert pictures of a loved pet, or beautiful artwork…from Renoir, or your 5 year old. It’s a unique gift for birthdays, anniversary or graduation. Think wedding gift for honeymoon images, artists to display their latest masterpiece, or a vanity tray for those hard to shop for men in your life. Our owner realized that most people aren’t graphic designers, but still enjoy creativity and the ability to give a custom gift without a lot of expense. So, for now, we’re including easy training (written and video) on how to create simple designs using a free online tool should you want to make your own custom inserts with your name, favorite quote or photo collage. It’s a great activity for kids, too, so they can share and take pride in their creations. After years of loofah brushing to keep her skin healthy and her body free of toxins, our owner found this wonderful exfoliating mitt that actually allows you to see the results in seconds: removed old dead skin. Derived from an ancient tradition, it leaves your skin silky smooth and your body refreshed. All of this for a fraction of the cost of an exfoliating spa treatment. Enjoy a relaxing soak in your tub without products or soap (heavenly! ), then rub this mitt over damp skin to see immediate results and feel amazingly invigorated!